Autism is a spectrum disorder and children can be mildly, moderately or severely affected. A child might have different behaviors. Those with mild to moderate disability can manage with some support in regular classrooms. However, special arrangements need to be made for a vast majority of individuals who are low-functioning. In India, however, lack of awareness and denial have unfortunately left a whole block of children sitting at home, unable to find support. According to statistics by the International Clinical Epidemiology Network Trust (INCLEN), more than 10 million children in India suffer from autism. 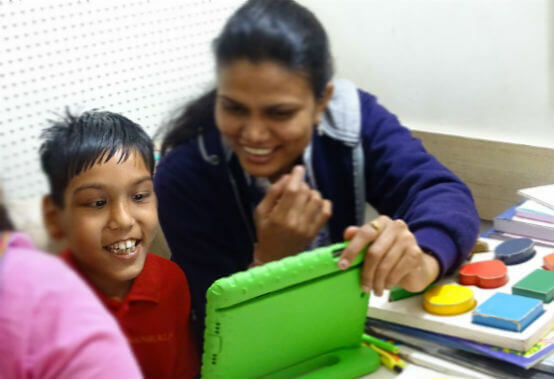 We found about 1 to 1.5 per cent children with autism between ages two and nine in India. The estimated rate for autism in India varies between an impressionistic 1 in 500 and 1 in 150. In autism, early intervention is very important. While it is becoming fairly common in India, it doesn’t happen at a young-enough age. The average diagnosis happens when the child is around five, but it should happen much earlier. And because schools take in children of a certain age by the time a child is 11 or 12 he is already so set in his ways that training becomes challenging. We have to understand that not all children with special needs are geniuses, like we are made to believe. Just like mainstream children, most children with autism are average and while for normal children there is a path to move forward in life, there is still no path for autism as it has no known cure. If we are to get somewhere in helping these children, we need to work towards becoming an inclusive society. This is perhaps the biggest challenge because inclusion is not real. Inclusion doesn’t mean kindness or pity; it means being able to treat a disabled child the same as a mainstream child, whether in love or in scolding. It means providing the same opportunities to both. Most people with autism seek structure and regularity. In fact, they are good at repetitive tasks. The aim should be to help them gain the skills for independence and that is what we do at ColorsAcademy.